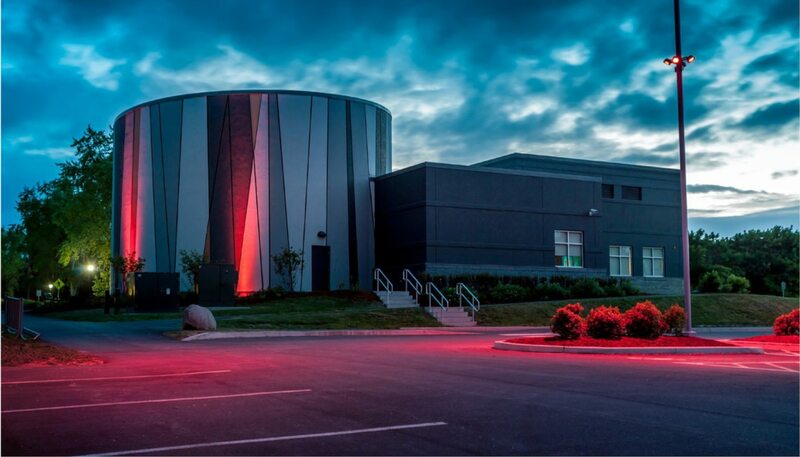 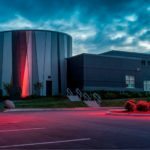 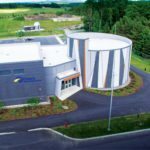 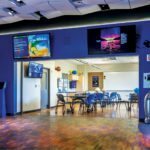 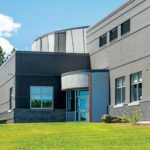 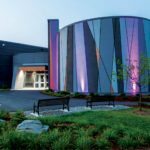 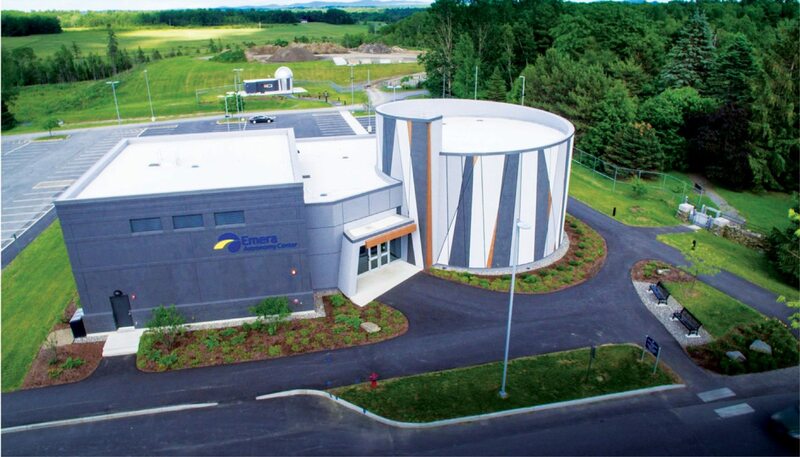 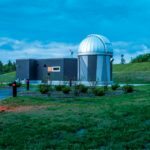 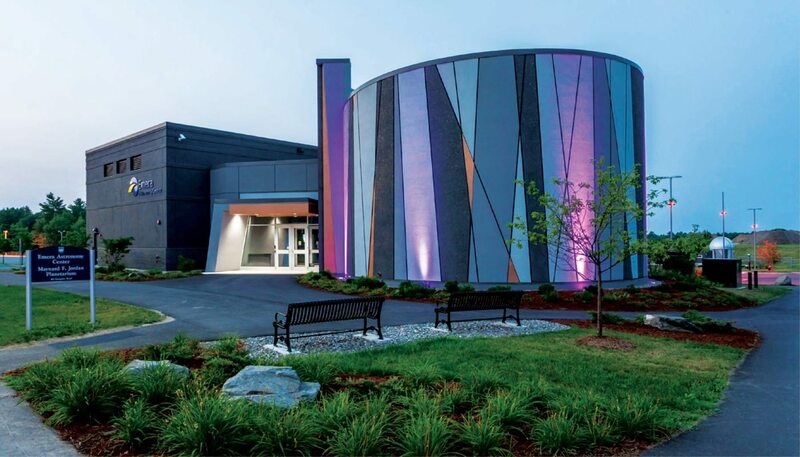 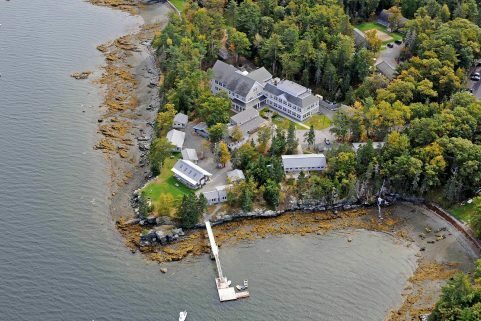 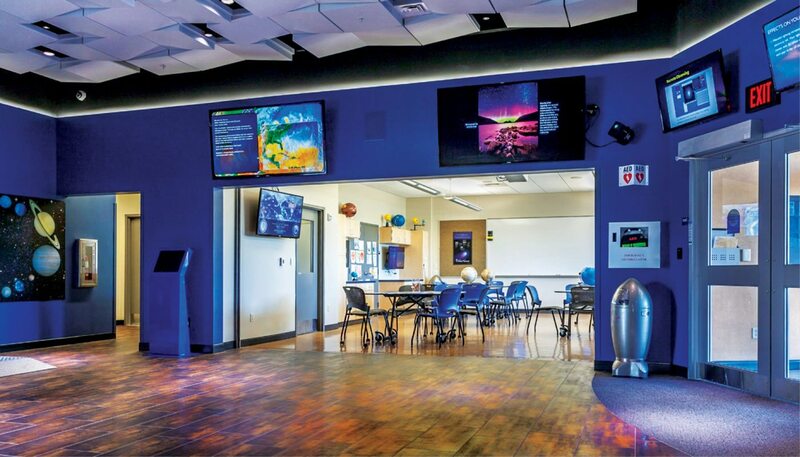 Emera Astronomy Center enhances the academic and research facilities on the University of Maine campus and attracts multi-generational visitors into an exciting and dynamic space. 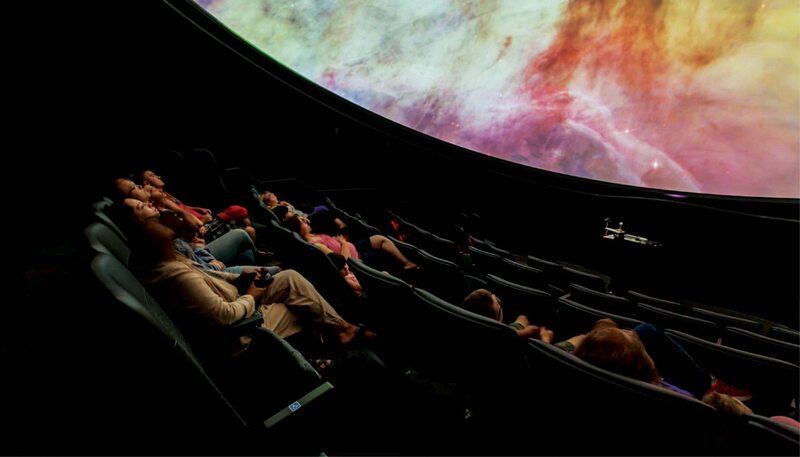 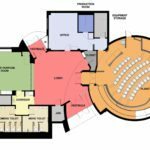 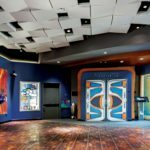 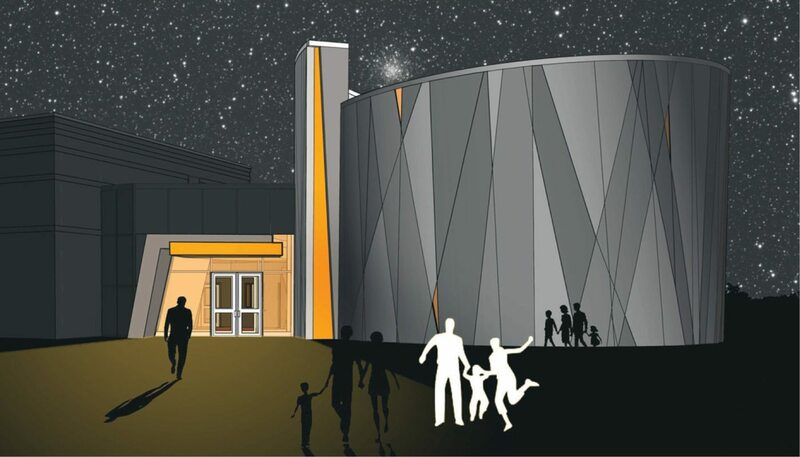 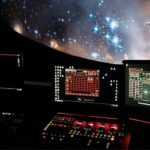 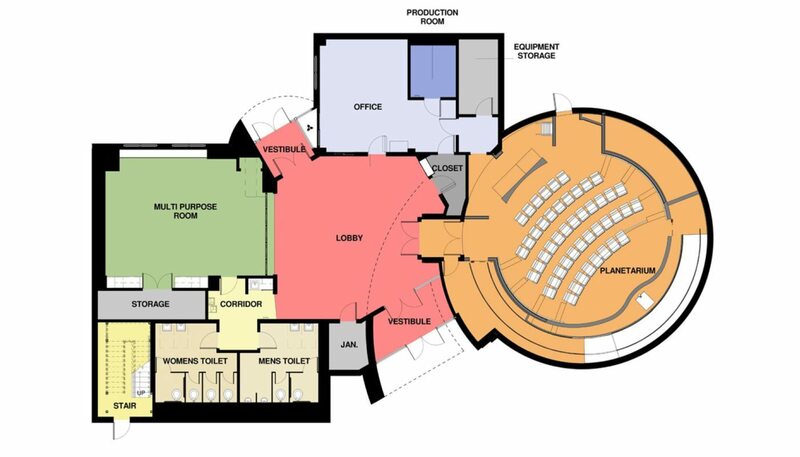 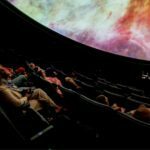 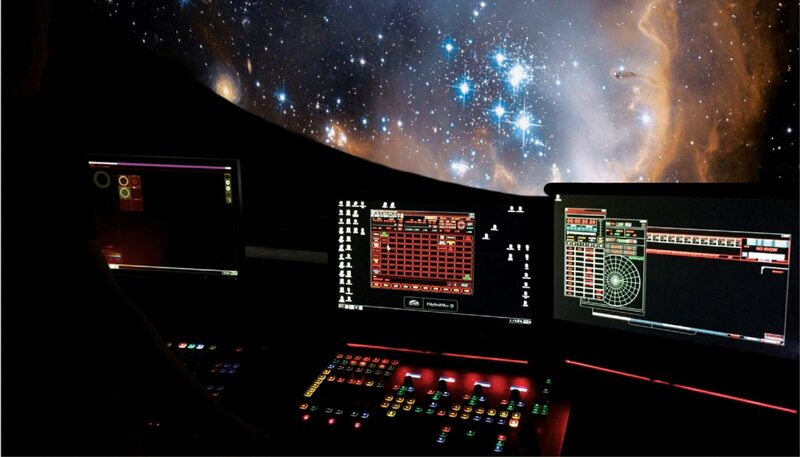 The new planetarium theater, designed in conjunction with planetarium consultant Kasian, seats 50 and its 33-foot dome allows full digital projection of iMax-type films. 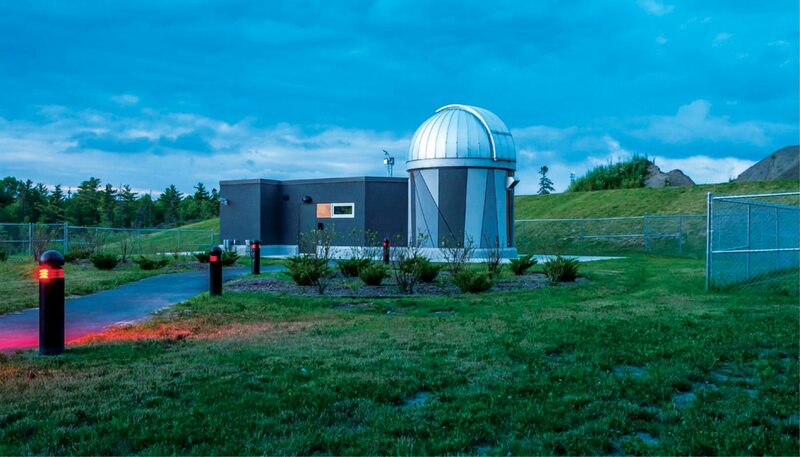 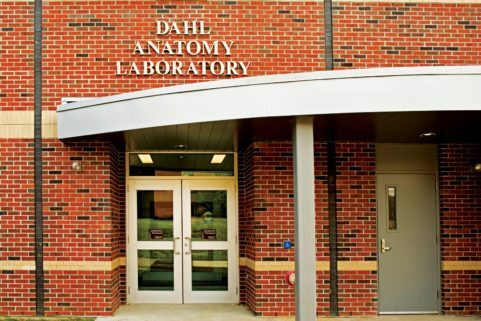 The 618 SF observatory, sited close to but not within the 7,399 SF main building, provides students and faculty access to a state-of-the-art reflector telescope. 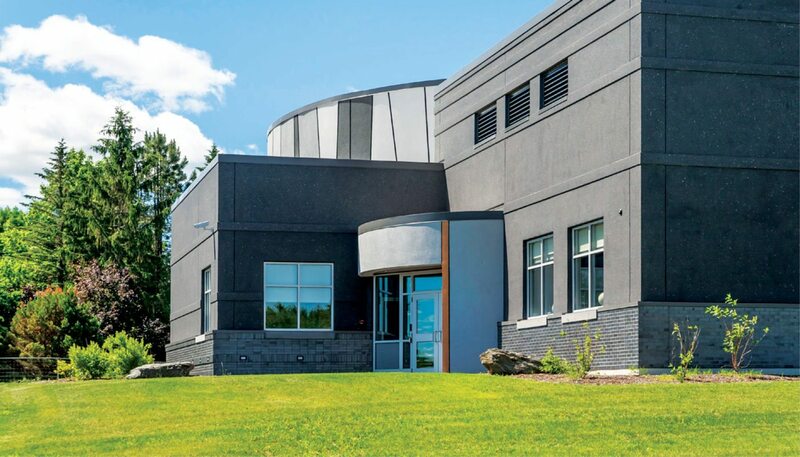 Its location on Rangeley Road allows ample parking facilities and safe bus drop-offs for school children. 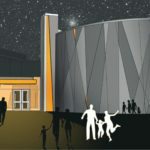 The architectural design serves as a dialogue between the planetarium architecture of the past and that of tomorrow, expressed in the structure’s literal lean towards the future. 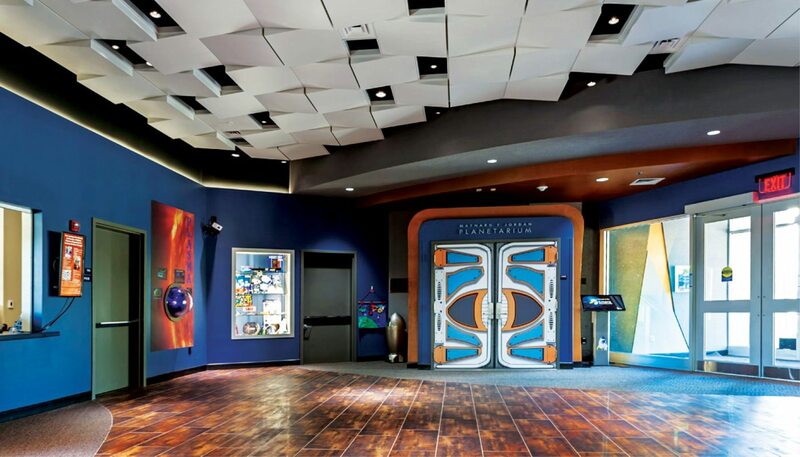 Multiple portals and unique materials inside help visitors move into a new realm of discovery. 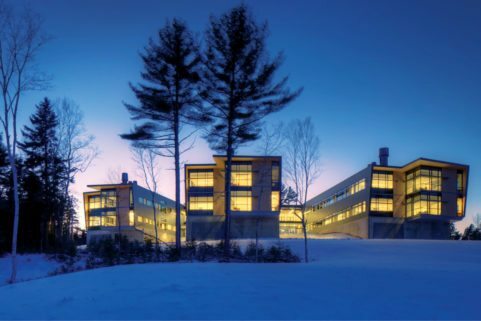 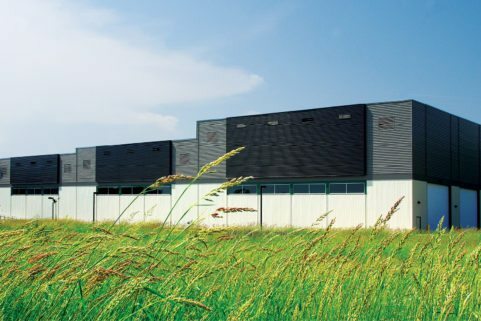 The LEED Silver building includes sustainable features such as a closed-loop geothermal HVAC system with electric thermal storage, low-flow fixtures, and occupancy light sensors.